Pictured: L-R: David Watumull, President and CEO, Cardax, Inc; Bradley Willcox, MD, JABSOM-Kuakini; Richard Allsopp, PhD, JABSOM-Institute for Biogenesis Research. The University of Hawaiʻi John A. Burns School of Medicine (“JABSOM”) and Cardax, Inc. (“Cardax”) (OTCQB:CDXI), a Honolulu based life sciences company, have jointly announced the results of an animal study evaluating the effectiveness of a naturally-occurring chemical that holds promise in anti-aging therapy. The Astaxanthin compound CDX-085 (developed by Cardax) showed the ability to significantly activate the FOXO3 gene, which plays a proven role in longevity. 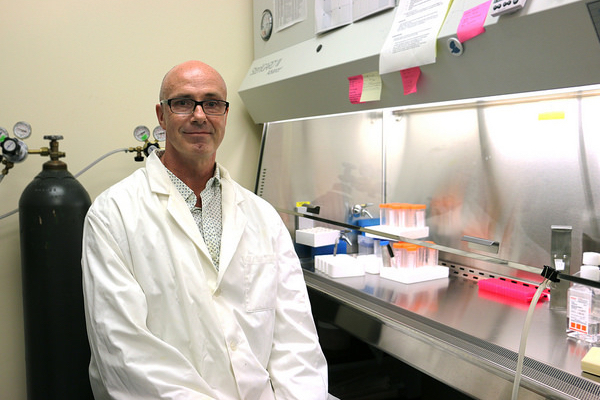 “All of us have the FOXO3 gene, which protects against aging in humans,” said Dr. Bradley Willcox, MD, Professor and Director of Research at the Department of Geriatric Medicine, JABSOM, and Principal Investigator of the National Institutes of Health-funded Kuakini Hawaiʻi Lifespan and Healthspan Studies. “But about one in three persons carry a version of the FOXO3 gene that is associated with longevity. By activating the FOXO3 gene common in all humans, we can make it act like the “longevity” version. Through this research, we have shown that Astaxanthin “activates” the FOXO3 gene,” said Willcox. 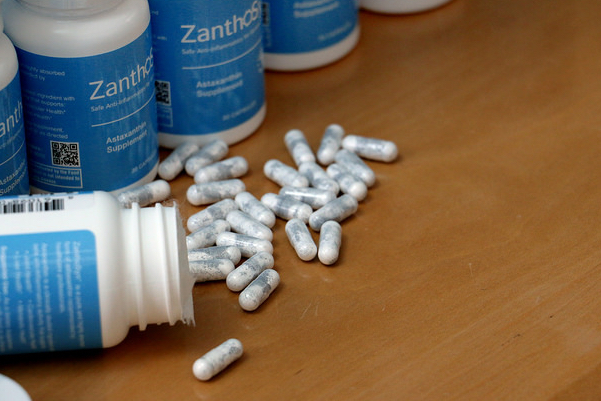 Multiple animal studies have demonstrated that Astaxanthin reduces inflammation, heart and liver damage, cholesterol levels, and risk of stroke. In humans, Astaxanthin also has been shown to lower inflammation and triglycerides. But this study is a first. In the study, mice were fed either normal food or food containing a low or high dose of the Astaxanthin compound CDX-085 provided by Cardax. The animals that were fed the higher amount of the Astaxanthin supplement experienced a significant increase in the activation of the FOXO3 gene in their heart tissue. Dr. Allsopp in his JABSOM laboratory. The researchers intend to continue their studies into other tissues where FOXO3 is expressed, including in the liver, muscle and brain. Human clinical trials of whether, for example, Astaxanthin supplements could improve cognitive function in early dementia also are planned. 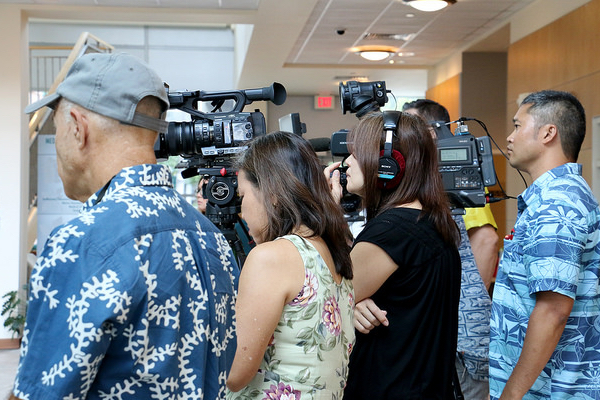 Journalists and UH media at the news conference announcing the Astaxanthin research. Astaxanthin is a naturally occurring compound found in seafood such as shrimp, lobster, and salmon, and is typically sourced from algae, krill, or synthesis. Multiple animal studies have demonstrated that Astaxanthin reduces inflammation, heart and liver damage, cholesterol levels, and risk of stroke. In humans, Astaxanthin also has been shown to lower inflammation and triglycerides. Researchers with the Kuakini Hawaii Lifespan Study, sponsored by the National Institutes of Health and Kuakini Medical Center, discovered that for those who have a certain gene (the FOXO3 “G” genotype) there is “extra protection” against the risk of death as you get older, compared to average persons. Using data from the Kuakini Hawaiʻi Lifespan Study, a substudy of the 50-year Kuakini Honolulu Heart Program (Kuakini HHP), and the National Institute on Aging’s Health, Aging and Body Composition (Health ABC) study as a replication cohort, researchers found that people with this FOXO3 gene have an impressive 10% reduced risk of dying overall and a 26% reduced risk of death from coronary heart disease over a 17 year period. Data are based on a 17-year prospective cohort study of 3,584 older American men of Japanese ancestry from the Kuakini HHP cohort study and a 17-year prospective replication study of 1,595 white and 1,056 African-American elderly individuals from the Health ABC cohort. Cardax devotes substantially all of its efforts to developing and commercializing safe anti-inflammatory dietary supplements and drugs. Cardax is initially focusing on Astaxanthin, which is a powerful and safe naturally occurring anti-inflammatory without the side effects of currently marketed anti-inflammatories. The safety and efficacy of Cardax’s products have not been directly evaluated in clinical trials or confirmed by the FDA. Established in 1907 and fully accredited by the Western Association of Schools and Colleges, the University of Hawai‘i System includes 10 campuses and dozens of educational, training and research centers across the state. As the sole public system of higher education in Hawai‘i, UH offers an array of undergraduate, graduate and professional degrees and community programs. 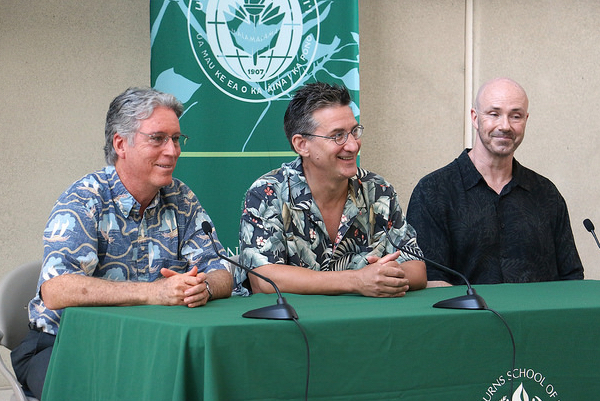 UH enrolls more than 55,000 students from Hawai‘i, the U.S. mainland and around the world. For more information visit www.hawaii.edu.